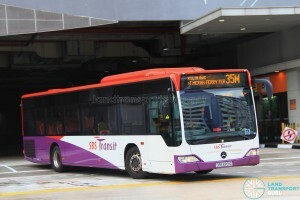 SBS Transit Bus Service 35M is a trunk route running from Bedok Bus Interchange and looping at Tanah Merah Ferry Terminal, going via Tanah Merah MRT, Xilin Avenue and Changi Coast Road. 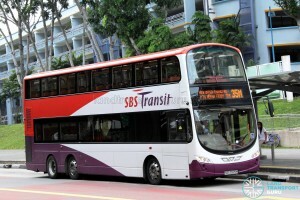 The route duplicates the former Service 35, which was extended to the Airport Logistics Park of Singapore (ALPS). 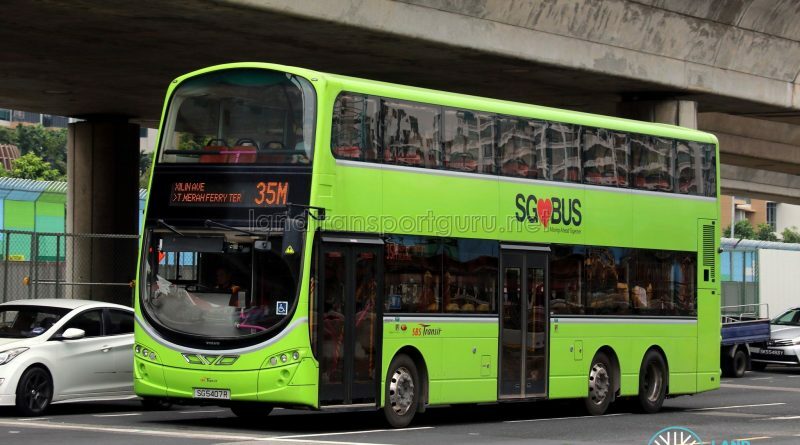 Service 35M operates during non-operating hours of Service 35, and was introduced on Monday, 15th December 2014. Service 35M is a trunk route serving Tanah Merah Ferry Terminal, and industries at Changi South, with bus connections to Tanah Merah MRT Station and Bedok Town Centre / MRT Station / Bus Interchange. Operating during off-peak periods, the service will run from Bedok Interchange and loop at Tanah Merah Ferry Terminal, via Tanah Merah MRT station and Xilin Avenue. At all other times, Service 35 operates, plying an extended route that loops at the Airport Logistics Park of Singapore (ALPS). 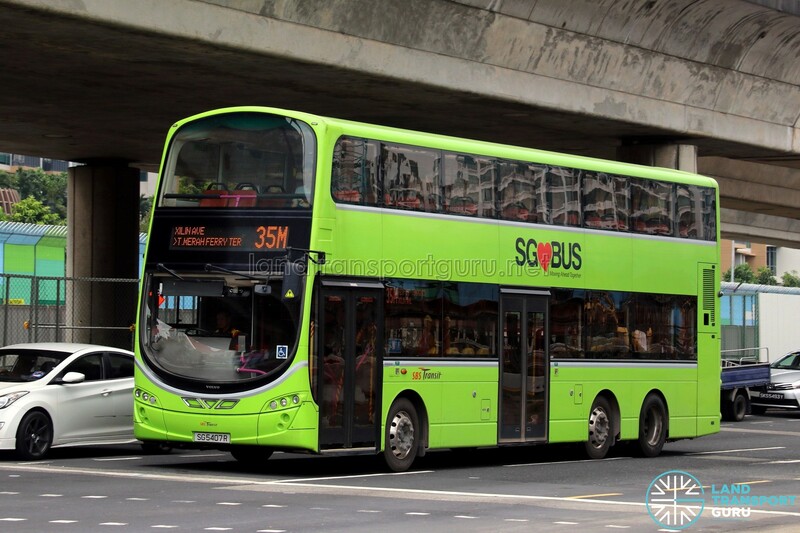 Service 35M was introduced on Monday, 15th December 2014, plying the same routing as the original Service 35. 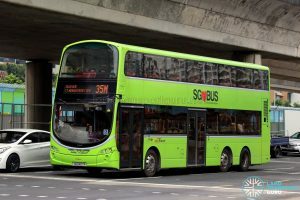 On that same day, Service 35 was extended to loop at the Airport Logistics Park of Singapore (ALPS) under the BSEP scheme. 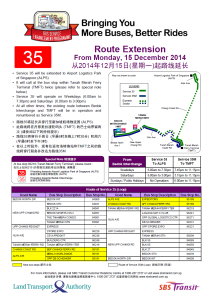 2014 (15 Dec): Renumbered as Service 35M when Service 35 was extended to loop at ALPS Avenue. My son has just been posted to Changi Naval Base and needs to report on every Sunday night. I notice that there is no bus service to CNB as bus no 35M which operates on Sunday loop at Tanah Merah Ferry Terminal. Bus 35 doesn’t operates on Sunday. Since both bus services operate on the same route, I don’t understand why they are both named differently and ply slightly different routes. CNB doesn’t provide shuttle buses at Tanah Merah MRT station but only a measly 42 seater coach at 930pm. Either my son queues at 830pm to ensure a seat, or needs to take a cab which is rather expensive for a NS man. Accordingly to him, over 100 men are vying for the shuttle bus and it is engaged to serve the whole camp. Is there any way to extend bus no 35M to service CNB? Thank you for your kind understanding in this matter. I would like you to understand that Service 35M was introduced to replace the former route of Service 35 and that if Service 35M was extended to Alps Avenue, it would be the same as withdrawning Service 35M and extending the operating hours of Service 35. However, this page is NOT the Land Transport Authority. You may want to send your opinions to LTA instead here: feedback@lta.gov.sg. Cheers.